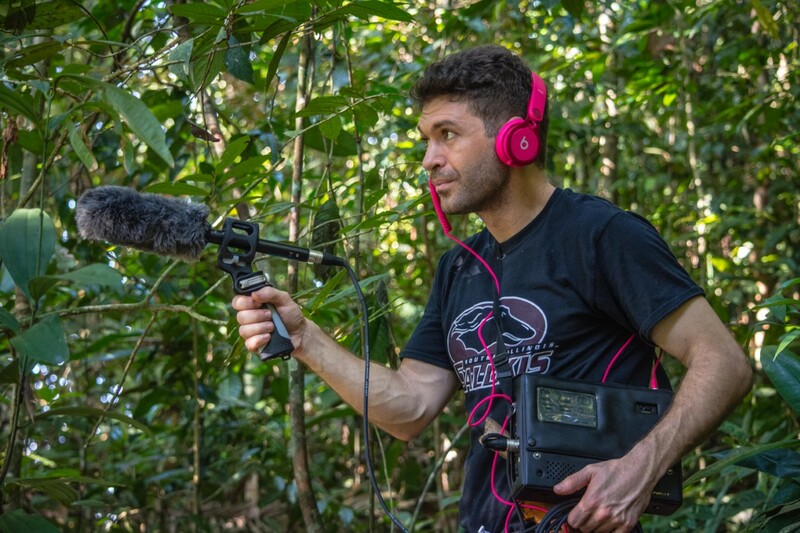 CARBONDALE, Ill. -- Southern Illinois University Carbondale graduate student Justin D’Agostino is the recipient of a J. William Fulbright Foreign Scholarship award to study the origins of language flexibility by investigating how globalization impacts primate vocalizations. A doctoral anthropology student, D’Agostino will spend a minimum of 10 months in Indonesia, flying into Jakarta in September to do field work in Sikundur and Batang Toru on the island of Sumatra. His project, “Effects of anthropogenic noise on the natural calling behavior of wild siamang,” involves testing how human-induced noise affects the loud, long, almost daily duets of the siamangs – the largest of the gibbons. D’Agostino said the implications of his study extend well beyond the black furry mammals. In addition to his research, D’Agostino, in partnership with Syiah Kuala University, Yayasan Ekosistem Lestari and the Sumatran Orangutan Conservation Program, will work with local field guides and make educational presentations in local schools and villages, engaging the community in his work and explaining the research. A native of Alexandria, Va., D’Agostino grew up in Bowie, Md., and the surrounding Washington, D.C. area. He moved to San Francisco at the age of 17 and earned a bachelor’s degree in biology at San Francisco State University in 2009. He completed his master’s degree in anthropology in 2015 at California State University in Los Angeles before coming to SIU, where he has focused on primatology as he works toward his doctoral degree. While presenting his master’s research at the International Primatological Society Congress in Vietnam in 2014, D’Agnostino met his current SIU adviser, Ulrich H. Reichard, associate professor of anthropology. He was impressed by the young man who had already completed several intensive primate research studies and who had had articles published about the flexibility of gibbon learning and loud calls in long-tailed red langurs, an Asian monkey. D’Agostino has also conducted a pilot study in Indonesia for the Fulbright project, following the agile primates through rugged terrain to observe the creatures, which are among the 20 species of gibbons currently listed by the International Union for Conservation of Nature as threatened, endangered or critically endangered. D’Agostino said he’s thankful that SIU has been very supportive of him and his research. Recently, he was chosen as one of the six recipients of the 2017 Graduate Professional Student Council Research Awards, which will also provide financial assistance for his research.